Please Note: The price displayed is for one truck. If you need two trucks, please add the item to your cart twice! The further development of one of the most popular truck of the last years: The Paris V2 180mm. Unlike the movie industry - the second part is much better than the first. This second edition leaves nothing to be desired! The truck allow buttery leaning and remains comfortably stable in the mid section. Perfect for narrow turns, nice tricks and fast carves. On of the best allround trucks on the market. You'll get top-notch quality! The truck is meticulously processed and flawlessly finished. As a special bonus, in addition to outstanding capabilities the truck is available in several stylish colorways. Tip: Whom the steering is too soft should add harder bushings (Venom 90a, Cone+Barrel) or flip the hanger. 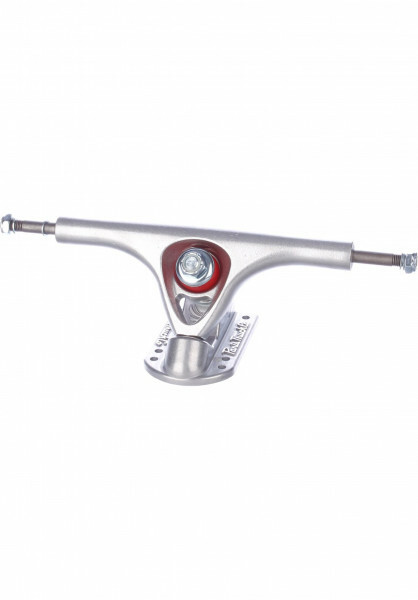 Beautifl trucks, very light, smooth, amazing. Love them! Really recommend them. Great price, too! first for me, reliable, good to ride!